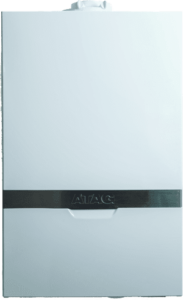 If you’re considering replacing your current boiler, RBHM are fully gas safe accredited Worcester installers and ATAG Technology Partners, both of which come with 10 years guarantees. A rated boilers offer over 90% efficiency. 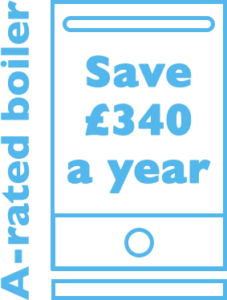 Saving of up to 40% of the costs of running your old boiler. Extended guarantees to give you the piece of mind you need. It’s important to understand your current heating system. 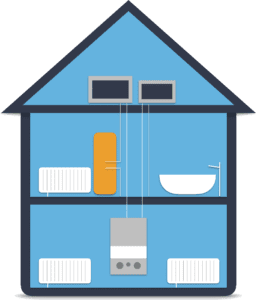 Nearly all homes in the UK have either a central heating system – a boiler and radiators – or they use electric storage heaters. Some homes will also make use of individual heaters that are not part of the main central heating system. Boilers & central heating account for about 55% of what you spend in a year on energy bills, so an efficient boiler makes a big difference. 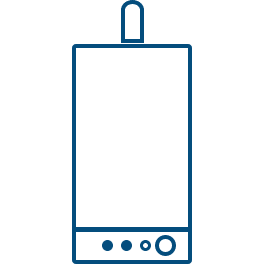 Replacing a G-rated boiler with an A-rated boiler and full set of heating controls could save you around £340 and 1500kg of carbon dioxide a year. If it is time to change your boiler, you need to decide what type of boiler is right for you. Here are some things to consider. If you have mains gas, a gas boiler is likely to be the cheapest heating option. Based on average fuel prices at March 2016, oil is currently a cheaper heating fuel; however, historically oil heating has been more expensive. 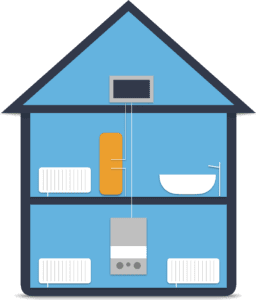 If you don’t have a gas supply to your home, it might be worth considering a form of low carbon heating such as a heat pump or biomass. With the renewable heat incentive, these may be a cheaper overall. Alternatively, you may want to get a gas connection to your home. The company that owns and operates the gas network in your area may be able to help with the cost of getting a new connection, and it may even be fully funded. Contact them for further information. Most old gas and oil boilers are regular boilers that have a separate hot water cylinder to store hot water, rather than providing it directly from the boiler. 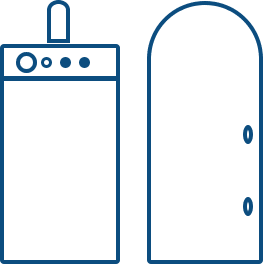 When you replace your boiler you can buy a new regular boiler, and keep your hot water cylinder, or buy a combi boiler that doesn’t need a cylinder. A regular boiler is more efficient than a combi at producing hot water in the first place, but then some heat is lost from the hot water cylinder, so a combi may be more efficient overall. If you’re thinking of installing solar water heating, it’s worth noting that many combi boilers are not compatible with this heating system or cannot use it so effectively. 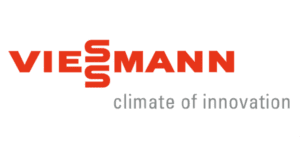 We're accredited and partnered installers for two of the most popular brands of boiler systems that offer many benefits. What Type Of System Should You Get? Why choose a combination boiler? 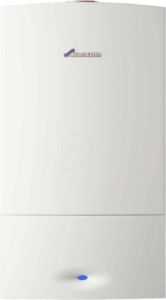 The most popular boiler choice for UK homes, a combination boiler delivers both central heating and instant hot water from one compact unit thereby removing the need for a hot and cold water tank. 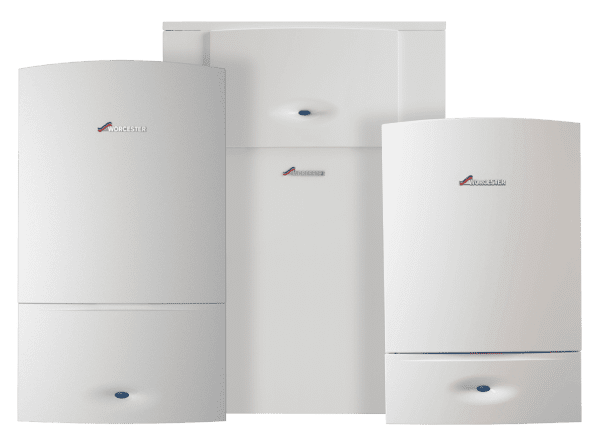 A combination boiler is ideal for properties with limited space and can be installed with minimal piping, keeping installation costs down and your home looking smart. And with today’s technological advancements a combination boiler can now serve properties with more than one bathroom. 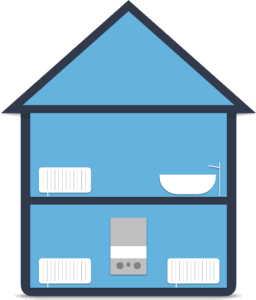 Suitable for properties with more than one bathroom or simply a larger hot water demand, a system boiler delivers central heating but requires a hot water cylinder. System boilers are generally available in many sizes and benefit from having the pump and controls integrated into the boiler casing, thereby eliminating the need for further space in the loft for a feed and expansion tank. Why choose a regular boiler? Regular boilers, also known as conventional boilers, are suitable for properties with more than one bathroom or simply a larger hot water demand. A regular boiler delivers central heating but requires a hot water cylinder. Regular boilers are generally available in many sizes but require more external space to house the pump and controls and generally require a loft space to house the feed and expansion tank. Give RBHM a call on 01344 830 030, pop in to see us at Longacres Garden Centre for a chat and a demonstration or fill in the contact form if you want to find out more about the costs of a new boiler.